Reiki For Your Pets - Fit, Healthy and Fabulous! People often ask me, what is Reiki? Reiki is a hands-on healing method that was developed and practiced by Dr. Mikao Usui in Japan. The word Reiki pronounced “ray-key” means “universal life energy”. It is based on the idea that all living beings have life energy flowing through their body. So what about Reiki for your pets? Our pets are healthy and balanced when their vibrational energy is high, they are more relaxed and less likely to become sick. When their energy is low, they can be more prone to illness from stress and the energy of those around them. A trained Reiki practitioner channels healing energy through their hands to the animal with a light touch either directly on the body or from a distance. Reiki is a safe complement to conventional Western medicine, Chinese medicine, herbal medicine, homeopathy and all other forms of healing. Many Reiki practitioners are healthcare providers, doctors, nurses and people of different churches and religions worldwide. Reiki for Animals is being used by many veterinarians, hospice care and professional offices for both humans and pets alike. Animals are naturally receptive to the Reiki energy and tend to enjoy it. Some pets may initially prefer to experience the energy from a slight distance, rather than having the Reiki practitioner’s hands directly on them for the first session. Unlike humans the Reiki sessions for pets typically last 15-30 minutes in duration. The frequency of sessions depends entirely on each individual pet and their health status. Some health issues can be resolved in two or three sessions; others may take ongoing sessions on a recurring basis. *Increases their bond with humans. *Reiki is extremely beneficial for animals with a history of abuse because Reiki creates a place of peace and safety. It teaches animals that human hands are safe and not always used as a tool for abuse. *Reduces stress, helps alleviate behavioral and emotional issues. Reiki has a calming effect and can help make your pet more receptive to basic and behavior training. *It is great for traumatized pets, PTSD, rescued animals and for lost or missing pets. *Reiki can help fearful, scared animals that are being transported. These poor animals are confused; they are unsure of their future and are in fear for their lives. *Reduces pain from arthritis, joint issues and promotes relaxation to facilitate and enhance the body’s natural healing response. *Helps alleviate or prevent the side effects of conventional cancer treatments. Cancer therapies such as chemotherapy and radiation can stress an already compromised immune system. Reiki strengthens the immune system to better deal with these cancer therapies. *Sometimes it is just our pet’s time to go to the Rainbow Bridge. Reiki provides comfort and relieves pain, anxiety and fear for terminally ill animals that are at the end of their lives here on earth with us. Reiki can help and provide peace in this transition for terminally ill animals and their owners. Have you ever noticed how your dog acts when you are upset or cry? Pets and humans often share each other’s physical and emotional feelings. Animals are natural healers; they can take on their person’s problems and energy, be it negative or positive! This is because there is a deep bond shared between a pet and their person. Because of this shared energy, energetic imbalances can be shared as well, so be mindful of the energy you are putting out there! 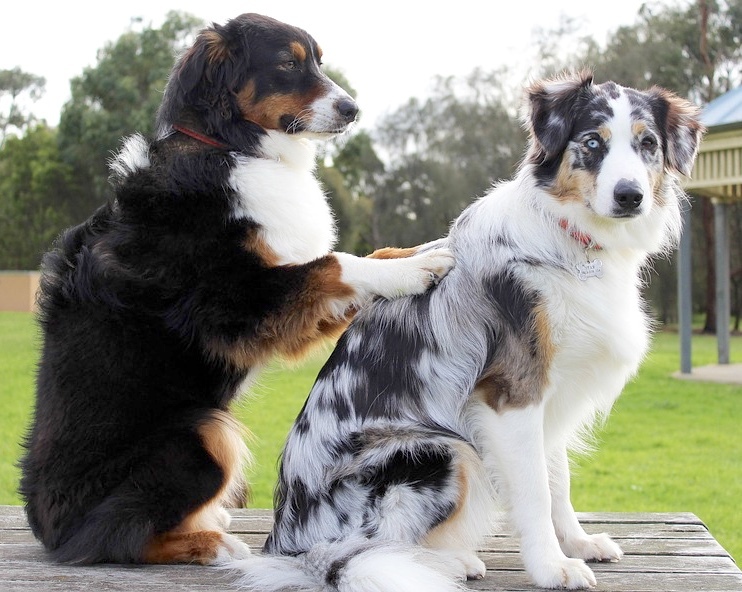 Reiki can be done in your home or at a participating veterinarian office. Most pets enjoy hands on treatments and some may be more comfortable from a slight distance. The treatments are equally effective whether being given directly hands on, a few feet away or from across the room. Reiki is also done with distance treatments and can be given from a distance with video or photos. It has been proven to be extremely effective, sometimes even more effective than local, hands on healing. I personally have done distance Reiki on lost dogs, dogs with cancer and seizure issues with great success. My human recipients of distance healing have reported the same sensations that my hands-on clients have experienced such as a sense of heat, wave motion or tingling in certain parts of their body, as well as a sense of peace and a deep sense of relaxation. Reiki has been beneficial for many people and animals over the years and while there are still many skeptics on the idea of Reiki, I have seen it’s amazing results and suggest that anyone that is skeptical give it a try or read more about it, there is a lot of positive research that supports and proves that Reiki is an amazing healing energy practice. Please keep in mind that Reiki is a complimentary treatment and should not be used to replace conventional care or to postpone seeing a health care provider about a health problem. This entry was posted in Animal Reiki, Dog News and Happy Tails!, Health and Wellness, Reiki, Reiki Healing and tagged Reiki and Pets, Reiki in New Jersey, Reiki Ridgewood NJ.